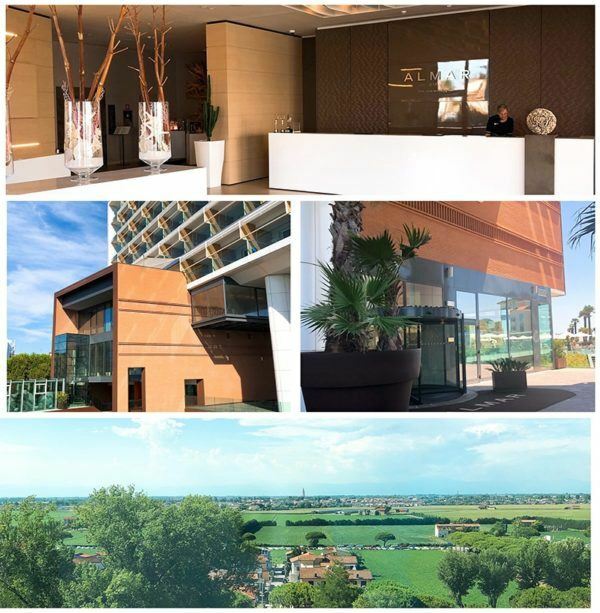 This hotel had been on my radar for a year or so – there was something about Almar Jesolo. 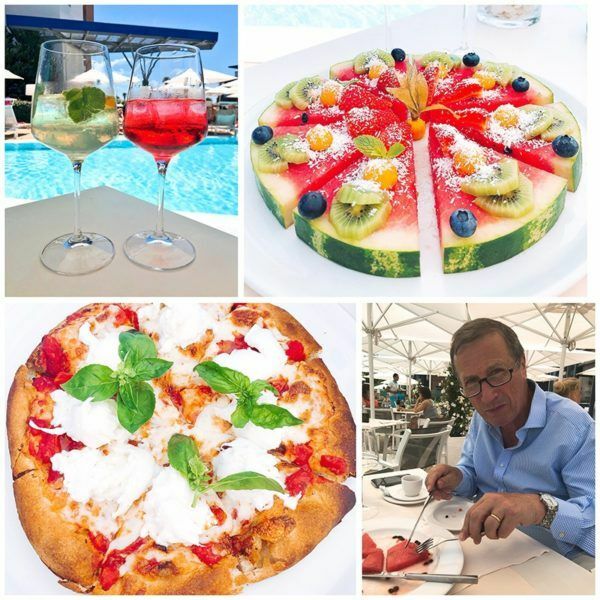 The promise of wellness, luxury, modern surroundings and a sandy beach in Italy appealed tremendously – as these are things that do not always go hand in hand. 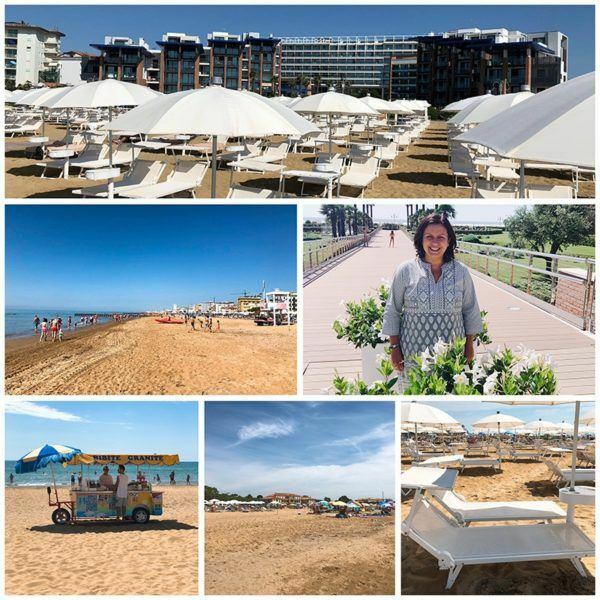 I have recently stayed 3 nights as a guest of Almar Jesolo, and here is how my stay went. 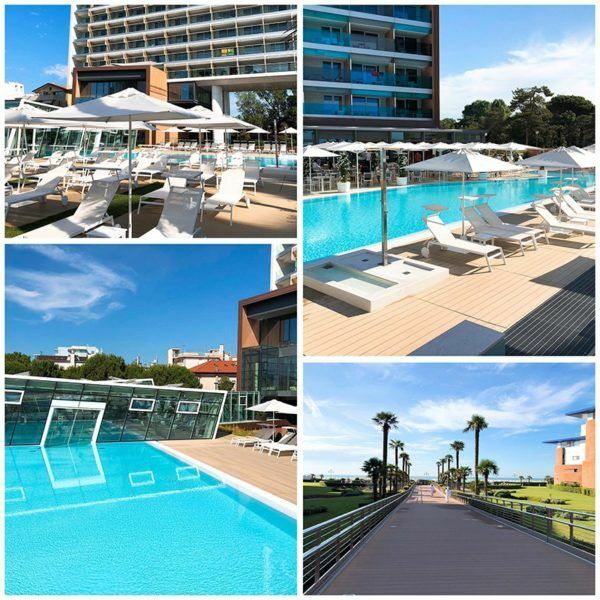 Almar Jesolo is located at the Lido di Jesolo, which is a purpose-built beach resort in north-east Italy, on the Adriatic Sea close to Venice. We flew in to Venice Marco Polo Airport with British Airways and hired a car with Avis and we drove to the hotel, which took us around 35 minutes as there was no traffic. 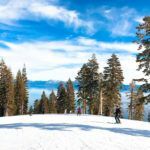 We could have had private transfers organised by the hotel, but we wanted the freedom that comes with a car to explore the area a bit more – and read on as it really was worth it. We visited in early July, before the season really started and had no issues at all. Lido di Jesolo is not the same as Venice Lido (Lido di Venezia), which is an island several miles to the south-west, between the Venice and the sea. Click here to see the map of the area. We had a very early flight, meaning we landed at around 10am local time and got to the hotel at around 11.30. We checked in very quickly but our room wasn’t ready yet as the hotel was fully booked and the previous guests hadn’t checked out. We took the opportunity to have a much deserved coffee, have a tour of the hotel (which was really interesting) and get our bearings. We then decided to head out for lunch and with the help of the concierge and the hotel’s PR, we had agreed on the perfect spot (and this is where the car came in handy). Bear with me and I will tell you all about it later in this article. When we returned, our room was ready to go and our luggage was waiting for us. The hotel had quite an interesting layout – which took us a while to understand (but hopefully I will make it easy for you). From the photos I had seen, the hotel had beach access and was a large modern building. What I hadn’t realised is that the hotel wasn’t exactly beachfront. It was recessed a bit and in front of it there were 2 apartment buildings with pools which were private property and nothing to do with the hotel. Access to the beach was via a walkway (and was very straightforward), but I found it a bit confusing at the beginning. It is actually quite clever how the developers achieved this. 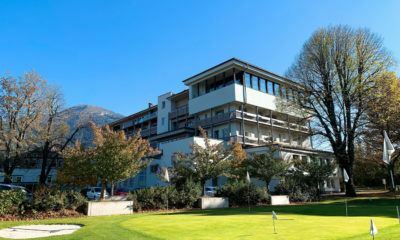 The hotel has just under 200 rooms, a large swimming pool and a standout spa, which we got to experience properly during our stay. Decor is really modern and I really want to highlight the service which I thought was very good. Nothing was too much trouble, everyone was very helpful and in, all honesty, people seemed to be happy to work there. This is a locally owned hotel, but if you put in a big brand name next to it, they couldn’t improve it much. So yes, you are in for a treat. 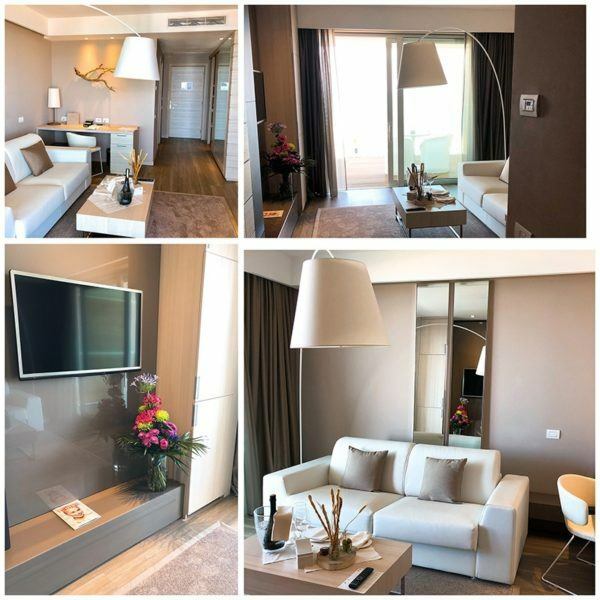 We had a lovely and very spacious suite at Almar Jesolo which had something quite different: two separate full bathrooms, which isn’t normal. 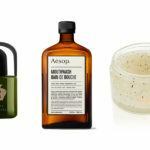 Had we taken 2 toothpastes, we could have experienced the room in a whole different way, but I have to say, having the option was really great. 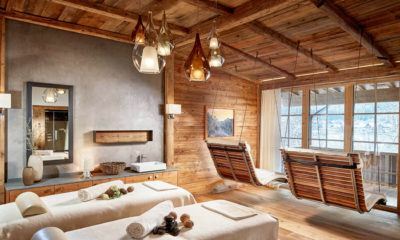 The room was spacious and light – it came with a separate living room area, a bedroom area and, as mentioned before, two bathrooms – one with a walk-in shower and another with a full bath. On the sleep front, I felt that the mattresses were too hard and the pillows too – I asked for more pillows but the problem remained. I managed to sleep, but I would have preferred a softer option – and a featherbed, which we take for granted at more international hotels. From what I gathered (and from my experience), beds are a bit harder in Southern Europe. It is the local preference but not mine! We also had a balcony with a seating area and two sun loungers. I had stayed in many suites with 1.5 bathrooms but not 2 and I did like that. A lot. I have to highlight the hotel’s own toiletries in XL size (which really were amazing, but weirdly there was no hair conditioner). I asked for it at the spa and they quickly gave me some. Also worth noting – the towels weren’t white and that was certainly different. 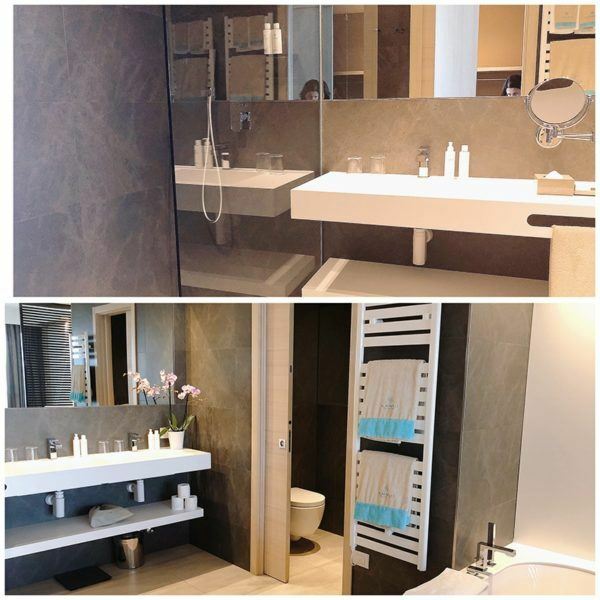 What I really liked was the heated towel rails which were turned on. It is something I have at home and love every morning (even in the Summer I get it going for an hour before we wake up), but having that at a hotel isn’t so normal. I am sure we had it elsewhere… but I actually do not remember. So Almar gets an extra point there. 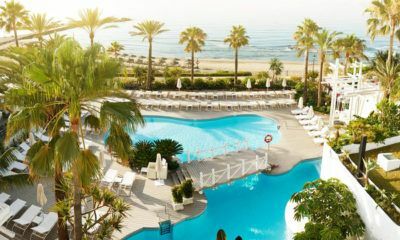 The hotel has a pool across its width which is split in 3 – and comes with different temperatures. During our stay, we used the beach every day, as the set up was really nice. We accessed it via the walkway you can see on the photo above. 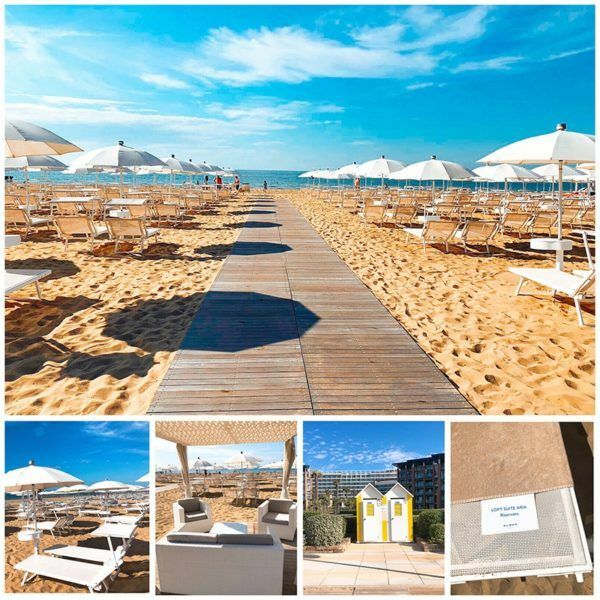 Each hotel at Lido di Jesolo has its own ‘private beach’ and the sun loungers are free for hotel guests. I really liked the ‘Italian’ sun beds with their face shade – and funnily enough, we saw them later this Summer in Malibu in California too. You have a full parasol per 2 beds and also a safe, which was a clever touch. There is a check in point at the beach (but you can also get towels from the pool) but little else. That means no toilets – to use them, you have to walk back to the hotel. There is no easy fix to this as the hotel doesn’t own the land by the seafront. It isn’t a make or break deal, but I thought I would point it out. Next to us, there was an ‘open public beach area’, ie. with no sun loungers for rent and it was packed as you can see from the photos above. Our area was super quiet and even the waterfront was the opposite of elsewhere. I don’t know how the hotel ‘polices’ the sea, but it worked very well. In terms of beach service, I have to say.. there was none. We really struggled to get the attention of a staff member and when we did, he did not come back with the menu. We ended up buying water from a beach seller – and we made sure we had some money with us for small things like that. As far as service is concerned, this is my only negative comment. 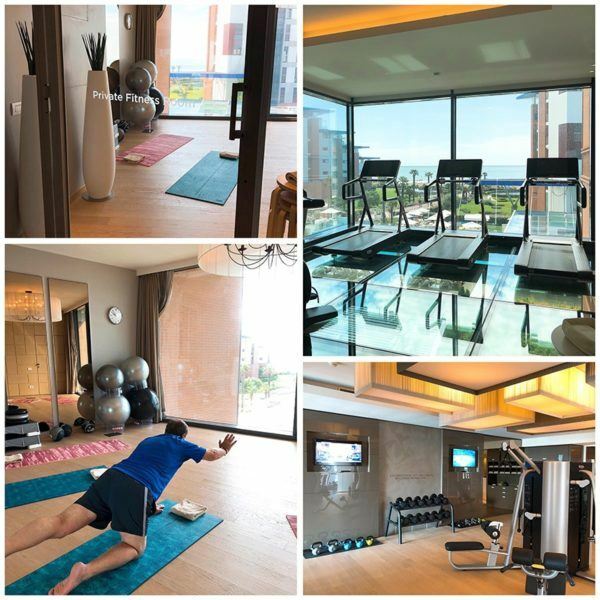 This is one of the areas where Almar Jesolo really has a differentiating product and we really were onboard with the ‘wellness’ offering. We did Pilates daily (my husband tried for the first time and really enjoyed) and I wished there were more classes as we would have gone. We always had a space (max is 6) but I could see this getting very popular. 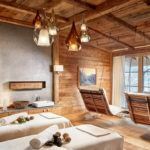 The hotel was a spectacular spa area – with hydromassage, shower therapy, hot and cold sauna and everything else you can imagine. 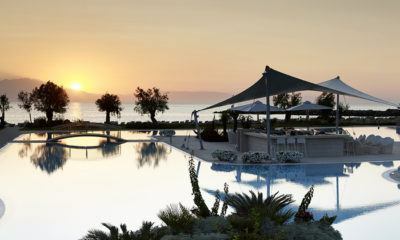 It is free for all hotel guests to enjoy and we felt we had it all to ourselves. There were no noisy children running around and the whole experience was very enjoyable. I even had a go at the ice basket (you can see on my Instagram stories here). We also really enjoyed the spa treatments. 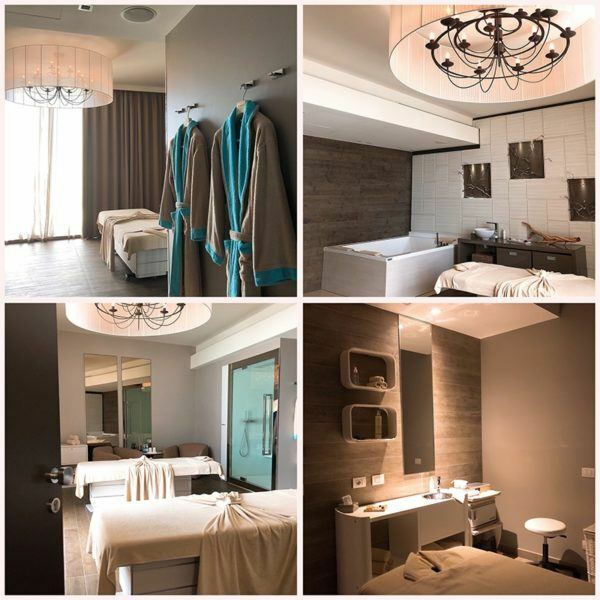 I had a complimentary massage but paid for all the extra treatments I wanted – and I thought that at 90 Euros, they were so reasonable. Mr. O also really enjoyed his two massages. Breakfast is included in all room rates and I thought it was excellent. I read some reviews before going stating that it was small, but I couldn’t disagree more. The buffet was great and there were loads of a la carte options as well as the usual cooked to order station. 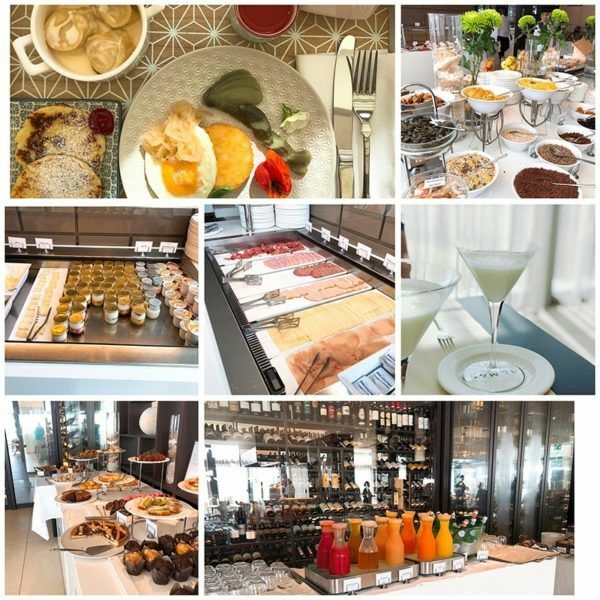 The hotel also offered some signature breakfasts – Russian and Japanese, for example and we tried the first one, and it was really interesting. We have a daily shot of kefir at home now (we really are on a health kick) and because of the Russian breakfast the hotel had it. The hotel only has one restaurant, which I thought was a bit limiting when we arrived… but it actually wasn’t. 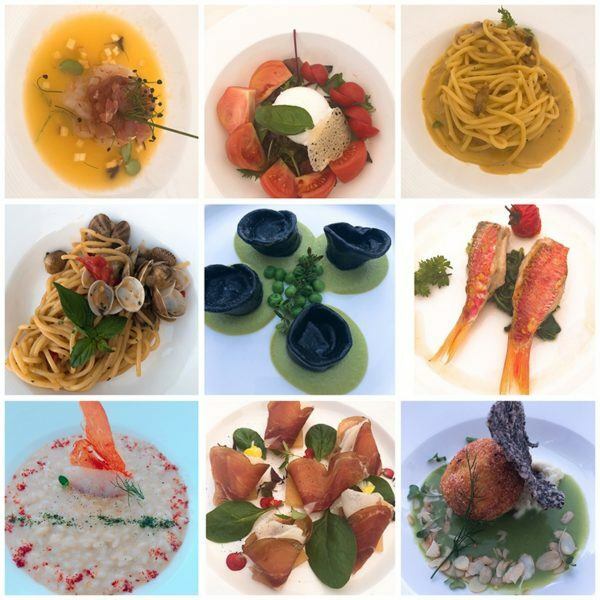 The menus were completely different per meal and I have to say… it was excellent. But the reason why I went to this hotel? The fruit pizza – you can see it below, or in all its glory on this Instagram post. I also had my first Hugo cocktail (a-m-a-z-i-n-g) and the one captured was only the first of many. 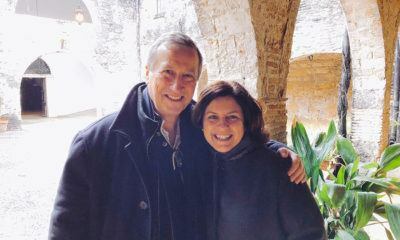 We also had the chance to try different and local Italian wines and I cannot fault a thing. The service, the food… we loved it. 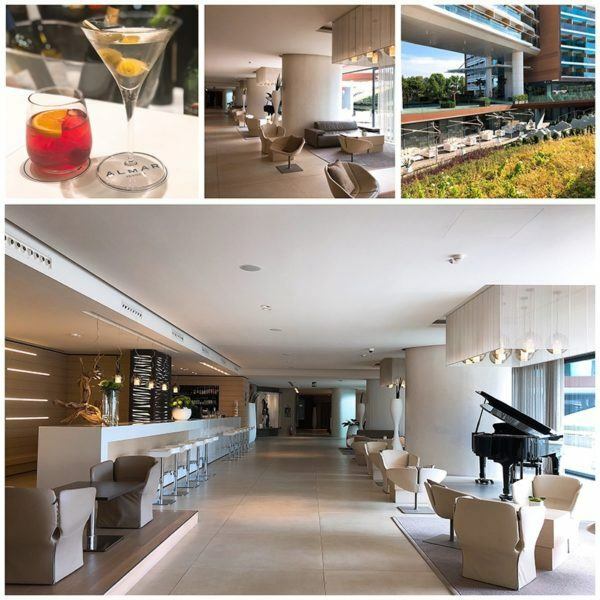 With regards to the bar… I have to say, for a fabulously designed hotel… we didn’t love it. 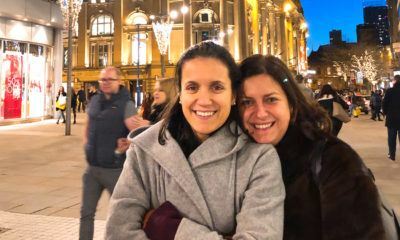 It felt cold and a bit impersonal – and we always seemed to be the only guests there at 9.30/10pm. The cocktails were excellent, but I feel it needed a bit more atmosphere. I have 3 experiences I would like to highlight and the first one was the lunch we had on the first day. 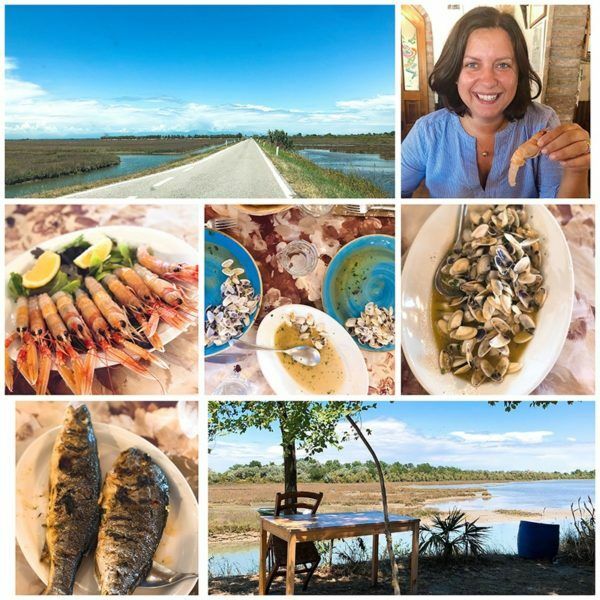 We went to a tiny restaurant in Lio Piccolo, which is around 30 minutes from the hotel. We knew we were going somewhere typical, but not to somewhere so beautiful. Whilst we did not explore Lido di Jesolo at all (could be lovely, I do not know), I loved the less developed surrounding areas. We went to this restaurant called Al Nocturno (see Google Maps) and had the most incredible meal – the owner didn’t speak English, my Italian is appalling, but I said ‘si’ to everything he asked. Turns out it was the right answer for a bottle of prosecco to appear and 5 courses which we did not choose. It was extraordinary and a meal I will never forget. (Cost: 70 Euros for 2). 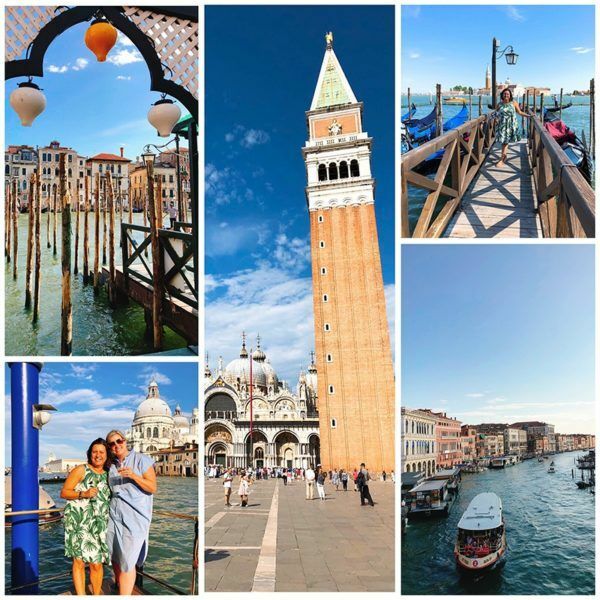 I have mentioned Venice before a few times – and yes, of course we went to Venice one evening. There are various options to get there – you could drive and then cross the bridge, but you can also go by boat. We drove to Punta Sabbione (around 30 minutes) and then took the ferry to Venice (13 Euros return). It was straightforward on the way out, but on the way back, it seemed that the schedule was ‘optional’ – we were there 10 minutes before the scheduled time, but ended up having to wait 45 minutes for no apparent reason. The hotel is also able to organise private transfers (taxi to dock and then private boat) – I didn’t want to be on a small boat at night returning, so we opted for the ‘BIG’ ferry. The cost would be around 350-400 Euros. 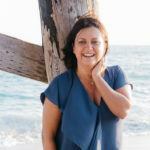 In Venice, I happened to coincide with one of the people I admire the most: Nicole Smith, founder and CEO of Flytographer, a company many of my readers will know well as I use their services a lot when I travel. 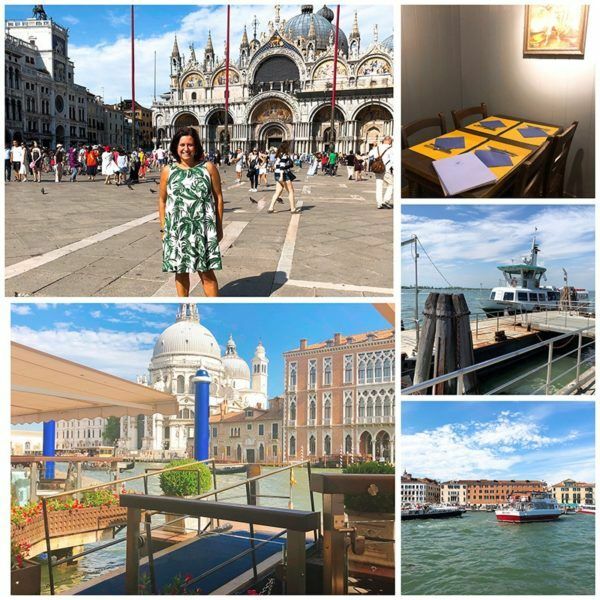 She was on a family trip with her children and we met for drinks at Gritti Palace and then had a more casual dinner at Cantina do Spade with her boys. The end of the afternoon and evening really were great and I loved returning to Venice (I hadn’t been since we had gone on the Venice Simplon Orient Express a few years ago). The third and final outing I would like to highlight was on our way to the airport. We had a late flight back to London (23.00 to be precise) and wanted to do a bit of shopping after checking out. 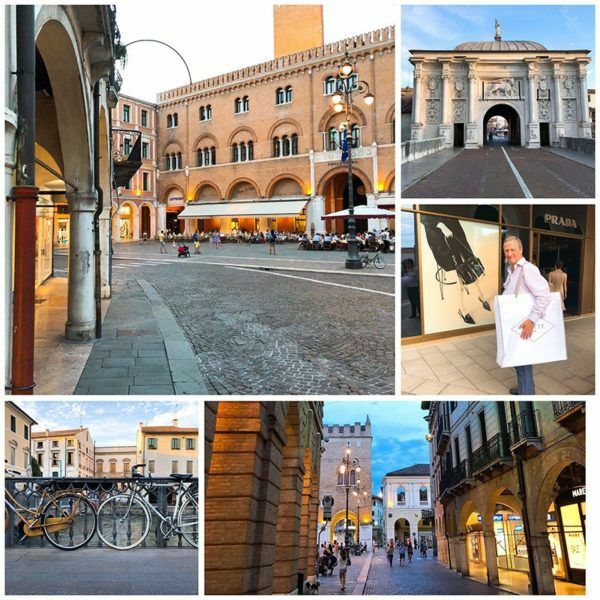 So on our way back to the airport, we made 2 detours: one to Noventa di Piave Designer Outlets and the other to Treviso, which is a town I had heard of, but did not have a visual at all. Turns out it was a charmer and we loved walking around the walled part of the city. We had a lovely dinner at Hosteria Due Torri which was perfect (and packed packed packed). 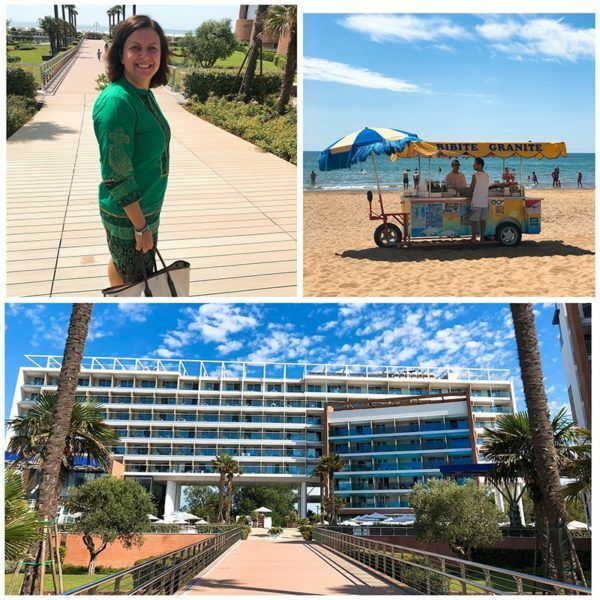 We really really enjoyed our stay at Almar Jesolo – we felt so welcome, as if we had been before. There were 2 or 3 little things that could be improved, but the overall impression really was excellent. The weirdest thing was coming back home after 4 days in Italy with the same weight having ate all the pasta. It is how magic this place is. 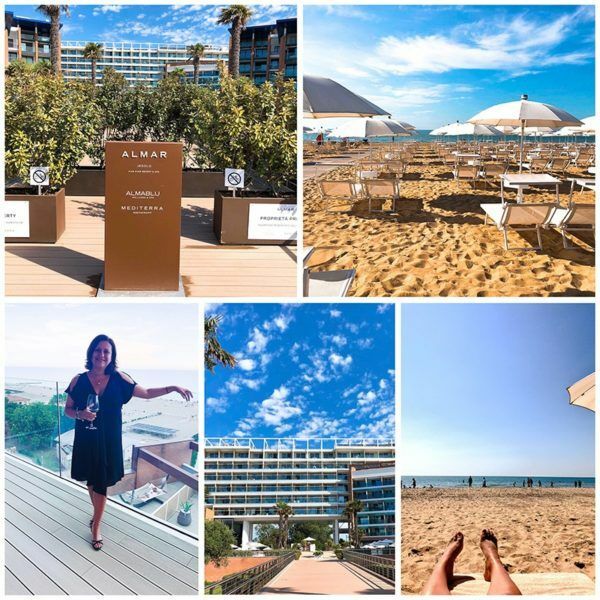 Disclaimer and Fact Box: I was a guest of Almar Jesolo and you can probably tell that I REALLY liked it. I would absolutely recommend to my best friend. 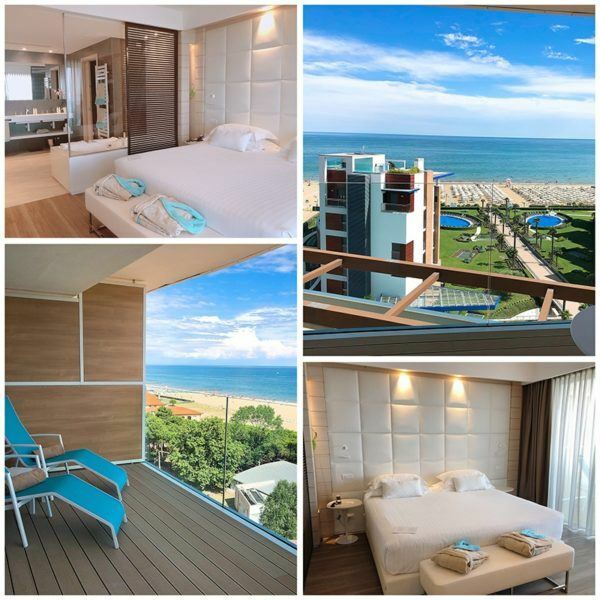 STAY: a night at Almar Jesolo starts at 200 Euros for standard rooms and 350 Euros for suites including breakfast. We did the math and the half board programme made sense as you can order a la carte. 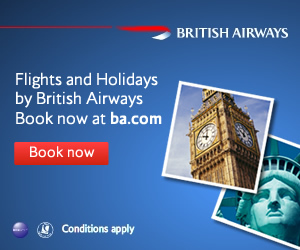 GET THERE: we flew with British Airways from London Gatwick on this occasion (because all flights from Heathrow were full). 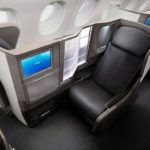 We paid £360 for business class return. GET AROUND: we hired a car with Avis (class M) at a cost of £190 for 3 days. If you hire a car with Avis, ensure that they close the booking when you return the car and do not leave until you get the receipt or email. Avis Preferred worked very well on pick up.. but was disastrous on the return. They didn’t close our booking for 2 weeks… and we couldn’t pick up our car in Lisbon on our next rental. No words.